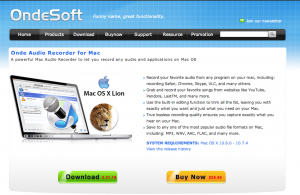 Onde Audio Recorder for Mac, developed by OndeSoft, is the perfect tool for capturing and recording audio while working on your Mac. While the interface might seem bare and prickly to some, its customizable features and layout are just a reflection of the product’s smart, savvy user base. But in an environment where consumers are now accustomed to play 99 cents for a great app, some potential users might shy away from an audio recorder that costs nearly $30. 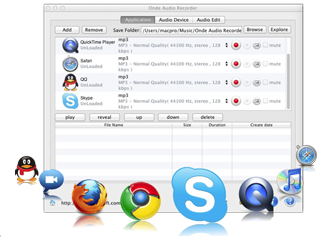 But with built-in editing functionality, excellent recording quality, and the ability to save in any of the most popular file formats, Onde Audio Recorder is worth the investment for any true audiophile. This powerful program records the audio from anything you’re listening to, be it a YouTube video, a Skype chat with a client, or that killer new track that’s burning up your Pandora station. Grab it, edit away any extra bits with the built-in editor, and save it as an MP3, WAV, AAC, FLAC, OGG, M4A, or other file format. Another awesome feature? 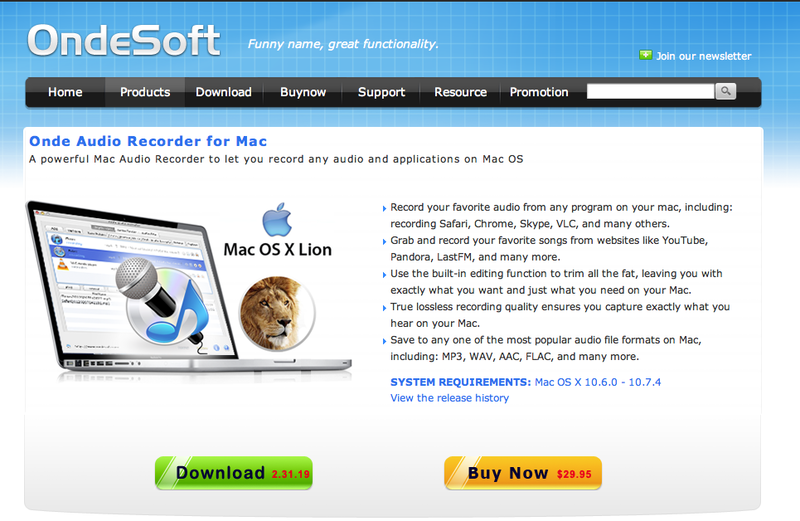 You don’t have to use your Mac as the source for your audio. 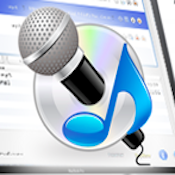 You can plug in a microphone, a record player, or another audio device to record song files straight to iTunes. If you’re anything like me, that means you might finally get around to digitizing a pile of old cassettes from your school days. 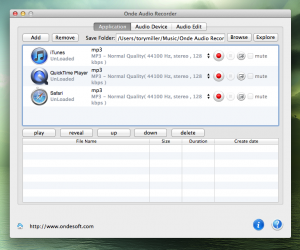 Going deeper, Onde Audio Recorder makes the editing of audio tracks very easy. Beyond the stripped down interface, you can make your life even easier with the built-in recording scheduler allows you to set start and end times. That makes it ideal for recording set events every day, like lectures or conference calls. Another cool feature? OndeSoft’s outstanding customer care program. Like I mentioned above, a lot of people will hesitate when they encounter a steep price tag, but that $30 cost comes with a free lifetime software upgrade, plus after-sale service and technical support. 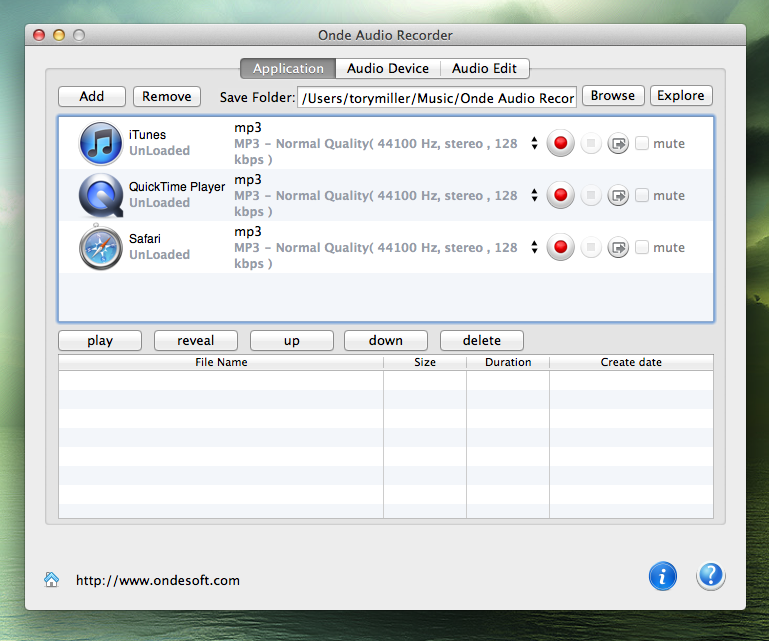 If you want an audio recording app that’s as powerful as it is minimal, you’d be hard-pressed to find an application as reliable and impressive as Onde Audio Recorder for Mac.